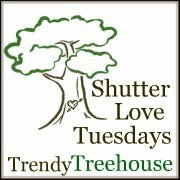 Remember next week we will be hosting "CREATIVE CHICK WEEK" so there will be no Shutter Love Tuesday next week! But the following week we have "CAKES". That will be fun! This weeks theme is "Bloopers/Outtakes"
This photo was taken in Santa Cruz this summer. The first time the kids swam in the ocean. They were shocked at how cold the water was. I loved this shot for this weeks theme as our Beach Outtake. It was so fun watching them play and see how the waves just pushed them up and over. Hilariously fun day! I can't wait to see all of your entries too! they didn't make it back in time. But at least I got a few good photos! That is such a cute picture! Looks like they are having a blast! I hope I'm voting in the right spot. A lot of great photos here and a hard choice. Computer glitch before..sorry for the anonymous showing up in previous post. I know the story behind The Great Umbrella Heist picture. I vote for it! Those girls just can't seem to sit still! Jamie your pictures are great! And I love all the entries. I am loving this weeks theme. How fuN! I like Mischief and Laughs. All the entries are great. I vote for "No Pictures Please"
I vote for "Oh No"